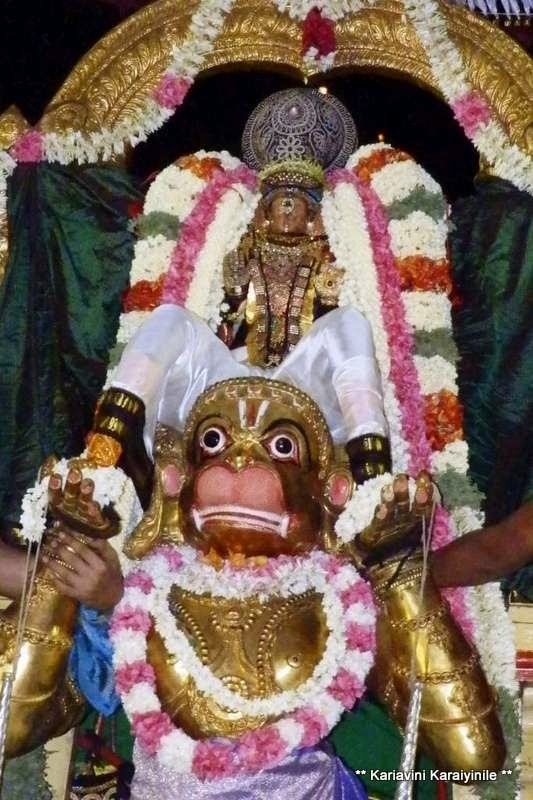 Sri Azhagiya Singar Brahmothsavam – Hanumantha Vahanam. 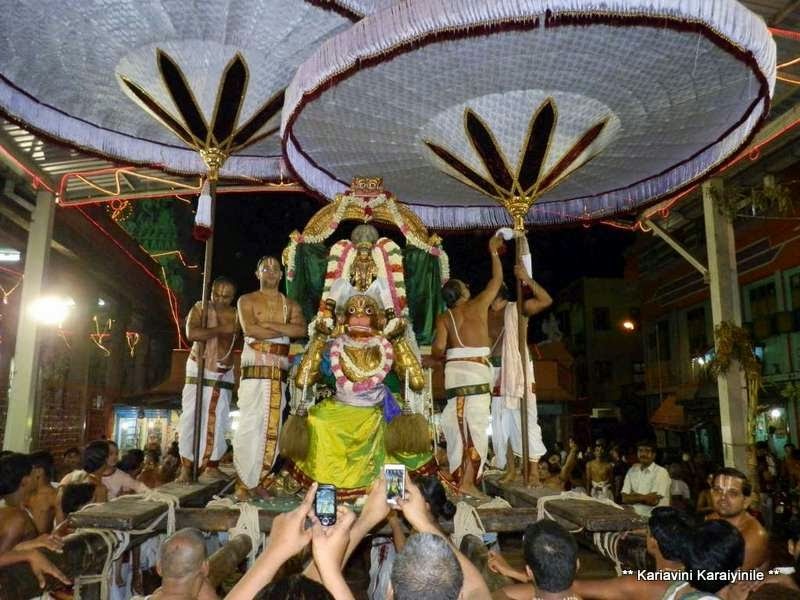 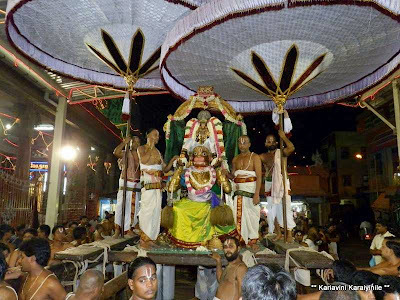 Today 22nd June 2013 is the 5th day of Aani Brahmothsavam at Thiruvallikkeni for Azhagiya Singar. 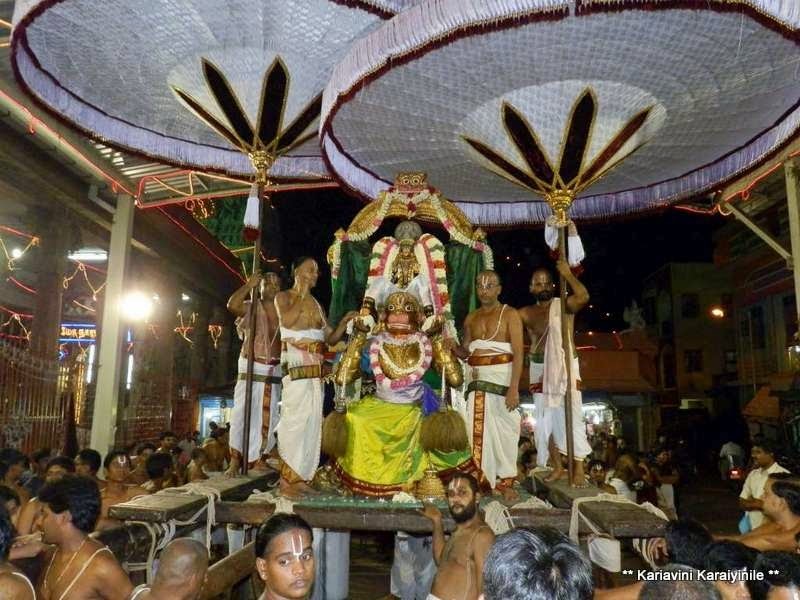 In the morning it was ‘Nachiyar Thirukolam’ and in the evening it was ‘Siriya Thiruvadi – Hanumantha vahanam’….. remember Lord Rama fought the battle sitting astride Hanumar. The son of Vayu – Hanumar is the epitome of great virtues. 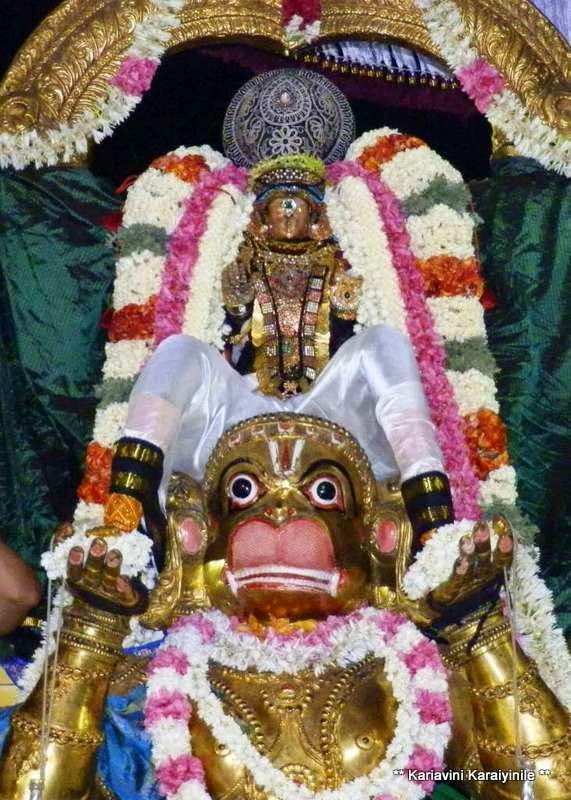 He had physical power, vast knowledge, strong will power, concentration, commitment, and vast capability of deliverance. 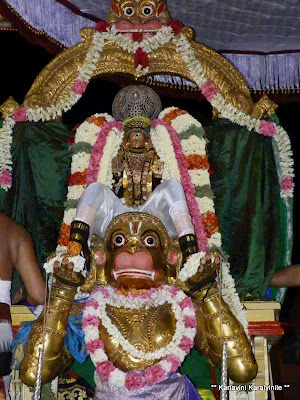 The very thought of Sri Hanuman brings to mind ~ his unparalleled devotion for Lord Ram and unrivalled physical strength. Perhaps this is one reason why Hanuman is quite often associated with celibates, wrestlers and bodybuilders. When Sukriva offered to help Lord Rama in search of Sita devi, there were thousands of Vanarars in his Sena ~ there were old, wise, powerful, youthful, and all others – yet it was Hanuman who was preferred to go to Lanka; the wise Zambavan praised his qualities and encouraged him to jump across the Ocean ~ He accomplished the task manfully and tested the strength of the forces of Lanka too… such was his wisdom and power of accomplishment. Even Sitadevi nursed a doubt when she stated that only three had the power of crossing the mighty Ocean ~ the son of Vainetheyan [Periya Thiruvadi Garudar known for his power of flying]; Lord Vayu and the most wise Hanuman – she wondered how the vast multitude in the Sena of Sukriva could cross the Ocean ?